I live in a small country called Guyana in South America, surrounded by Venezuela, Brazil and Suriname. My village is a Warau community—home to one of nine Amerindian tribes in Guyana—with about 1,600 people living in three areas. On Sundays, I used to visit with a 90-year-old “auntie” who had suffered from hypertension for over 30 years. We will call her Eugenia (not her real name). One day, while I was visiting, Eugenia launched into the story of how she was diagnosed with hypertension. In 1986, at age 58, Eugenia was doing farm work with her husband and felt a rush come over her, causing her to faint. She was taken to the health center and the health worker told her for the first time about hypertension. Eugenia had no idea what this disease was, and none of her family members did either. She had never heard of chronic diseases before—how harmful they could be or what caused them. All she knew was that she suffered from this thing that would stay with her for the rest of her life. She told me about the sense of hopelessness that came with her diagnosis and the feelings of worthlessness and isolation that she struggled with. Her community is full of hard-working people and, culturally, it can be easy to award worth based on the work that an individual can do. So what happens when you have a disease that tells you that you cannot work as hard or as long? You feel worthless, obsolete and cast aside. As time progressed, Eugenia learned more about her disease, started her treatment and modified her behaviors. She is now 90 years old and had reached that age with a condition that I know has taken the lives of many younger people. I can’t tell you Eugenia’s story without telling you about another auntie in my community who also suffered from terribly high hypertension. I will call her Michelle. Health center staff used to say that she never came in to receive her medication. That is, until one day we took a speedboat to Michelle’s house to take her blood pressure and encourage her to come to our new chronic disease clinic. Her pressure was 210/100—so high that she could have suffered from a stroke right then and there. We gave her a slip of paper that had the clinic date on it. She took it with apprehension on her face and we left with a sense of defeat. 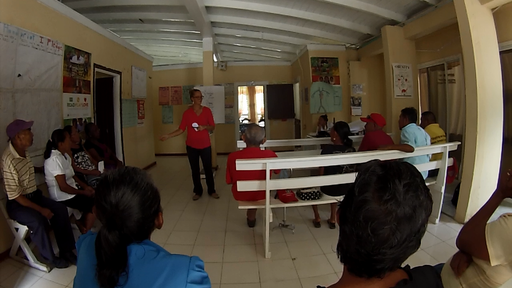 On the first Monday of clinic, many people came in and out—35 people, to be exact. The day was waning and staff were settling into the post-clinic detox when Michelle walked through the door. I was ecstatic and thanked her for coming. She had to paddle her boat about a mile on the river to get to us—as many others had done that day. Throughout my entire service, I had heard about how difficult she was and how hard it was to get her to care about her condition, yet here she was... on time. My eyes caught hers as I moved around the clinic and I gave her a silent, affirming smile. Michelle became one of our most steady patients. Health staff had created the opportunity for her to come and she not only embraced it but shared it with others, including Eugenia. That was the goal of the new chronic disease clinic we launched: to create a safe space where patients could interact with others who had similar conditions, in order to learn not only from us but also from each other to ultimately mitigate their chronic diseases. The clinic has been running over a year now and it has grown to over 70 patients, spreading its reach to communities near and far—whether by speedboat, paddle craft or simply word of mouth. 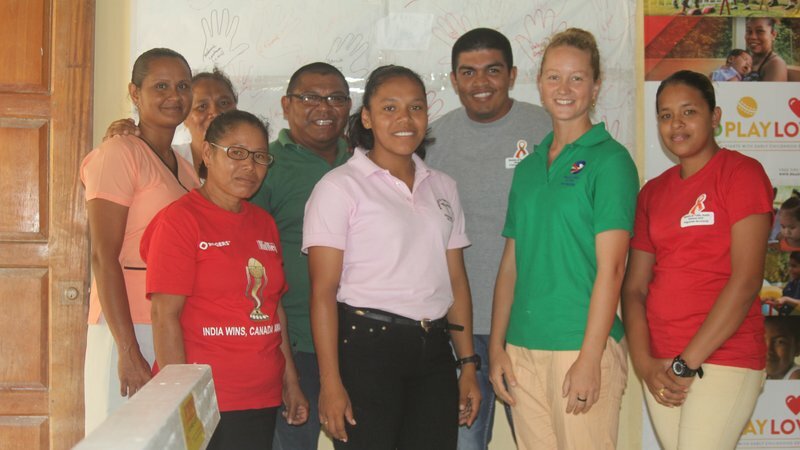 My name is Amber Enyart and I am a Community Health Specialist in Guyana. My work has touched on youth empowerment, clinical skill development, information and communications technology, and health education.